Ah, the movies. When you’re in the mood, there’s really nothing better. A big box of popcorn, ice cold drink, comfortable chair and a wonderful film. Can’t beat it. It’s no secret that we at tmrw love us a nice old film. So, for those of you that know us best, it’ll come us as little surprise that we’ve decided to put our heads together and come up with this: tmrw #24, the film/cinema issue. With over 200 pages celebrating film in all of its different iterations, this ain’t one to be missed. 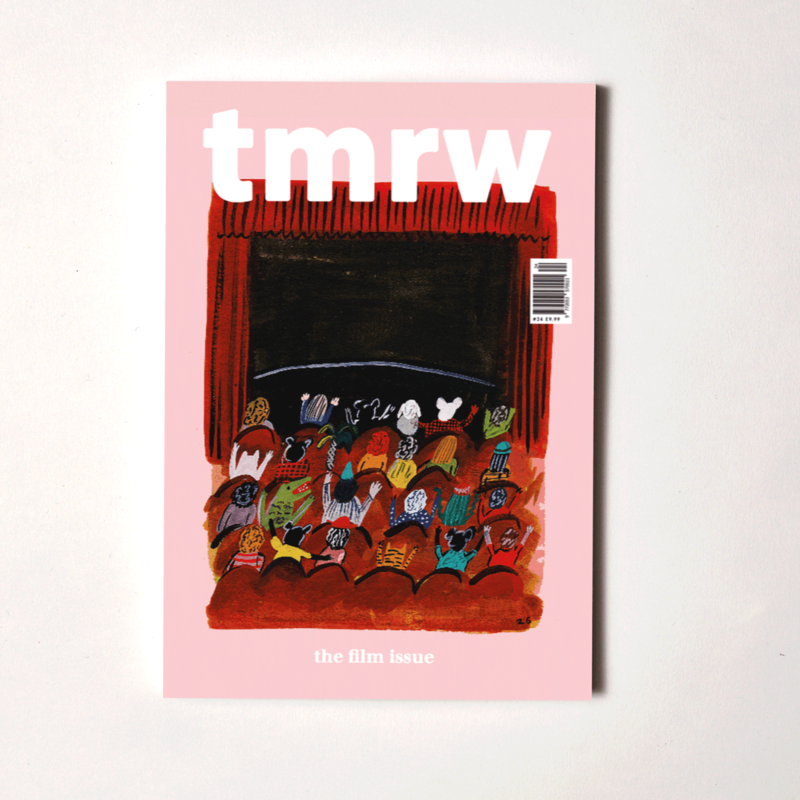 There are interviews with Cameron Boyce and Bella Dayne, a deep dive into the world of projectionists, as well as full-length features on depictions of gender at Berlinale, the rise of rooftop film clubs and how the arthouse saved the biographical flick. And, as if that wasn’t enough, we chased down the key figures that helped Wes Anderson create stop motion masterpiece Isle Of Dogs. This is, however, tmrw of course – so you can still expect your usual dose of music, style and beautiful living. We have interviews with Louisa Johnson, Alison Wonderland and NOT3S, an edit from Arcminuté, plus the illustrated history of Ben and Jerry’s (because why the hell not). So grab your snacks, turn off your phone and get yourself cosy. It’s about to start. Cover illustration by Zet Gold.